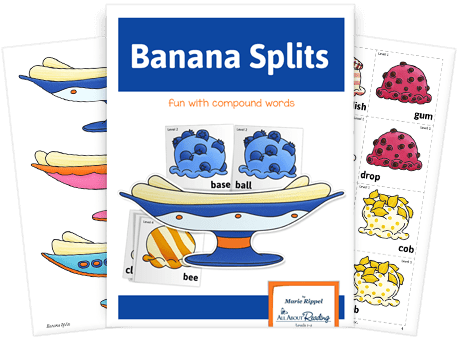 Download Your Banana Splits Game! Get your FREE reading game! Complete the form for instant access to your "Banana Splits Game." 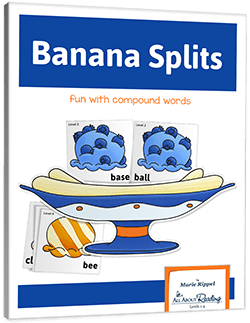 The Banana Splits Game is a fun way to practice reading compound words, and it can also help build your child’s visual memory for reading purposes. Designed to be used in conjunction with the All About Reading program, this activity can also be used independently from AAR. Caution: you may get hungry for banana splits while playing this game!